The Epping Model Railway Exhibition is held on the Queen’s Birthday long weekend in Sydney. The next exhibition is on 8th, 9th and 10th of June 2019 at the Rosehill Gardens Grand Pavilion. The Model Railway Market Day is held at the Epping Creative Centre, Dence Park, 26 Stanley Rd., Epping, NSW. It will be held on 30th November 2019 from 10.00am to 1.00pm. See details to book a table. Contact Mike Lillie to book a table. The Epping Model Railway Club holds Model Railway Open Days in conjunction with the Southern Cross Model Railway Association at the Epping Creative Centre, Dence Park, 26 Stanley Rd., Epping, NSW. Each Open Day has a HO layout in operation with DC and DCC. There is a Sausage Sizzle lunch and plenty of opportunities to ask questions about model railways. There is a Clinic at 11.00 covering Getting Started in Model Railways in January and July and Scenery for Model Railways in November. All modellers and those interested in model railways are welcome to come along. 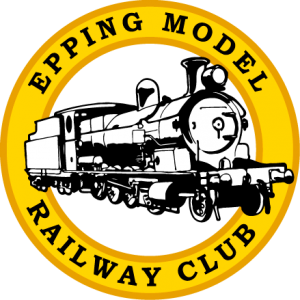 The club holds modelling work nights on Friday evenings from 7.30pm at Epping Creative Centre, Dence Park, 26 Stanley Rd., Epping, NSW. Modellers are welcome to come along but please ring to make sure we are meeting – contact Mike Lillie. The club also holds additional layout work sessions in January each year. Come along on a Friday evening and get the details.